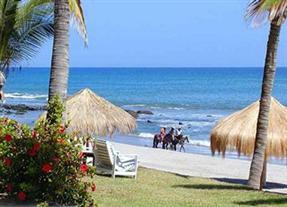 We pick you up at your hotel, and departure to hte north of Lima. 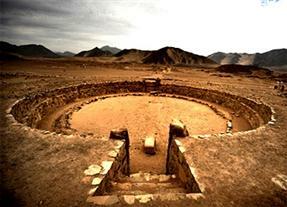 We will vist the Sacred City of Caral, located in the middle sector of the Supe Valley. Its importance is that it is the most prominent urban settlement of its size and architectural complexity of all identified in Peru between 3000 and 2000 BC. Here more than 32 architectural ensembles of varying size and function, which, so far, have been identified 6 pyramidal buildings and a number of medium and small buildings, including temples, residential areas, public squares, amphitheatres, warehouses appreciated , coliseum circular tombs, altars and streets, which makes us conclude that albergo around about 3000 inhabitants. Among the most important buildings stands the Great Temple. The city of Caral had a complex sociopolitical organization, advanced level of knowledge in science, technology and art reflected in its architecture, being the oldest in America, and comparable only to other civilizations of the Old The world as Mesopotamia, India, China and Egypt. Upon arrival. We pick you up and take you to the hotel. We start of our colonial city tour. During the city tour we will go through the historic center of the colonial city of Trujillo: Main Square, one of the most beautiful and the largest of Peru. It highlights the Freedom Monument, located in the center of the square. We visit the Emancipation Mansion, the Cathedral and its beautiful paintings and altarpieces, the El Recreo Park and its colonial water system, The Iturregui Palace and La Merced Church.This day, we will visit The Temple of the Dragon, decorated with anthropomorphic and geometric figures, then we continue learning about the Chimu culture in the Chan Chan Site Museum. 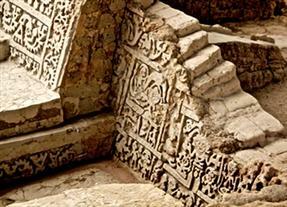 Next place to visit is Chan Chan (UNESCO Heritage), the largest pre-Columbian citadel of the Americas. Here we enter to the Nik-An Palace, built with refined architectural technique, which includes impressive reliefs and exquisite geometric and zoomorphic designs and friezes depicting fish, pelicans, diamonds, originally painted in ocher, yellow and red tones. 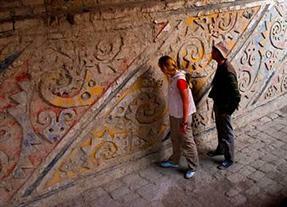 The Citadel of Chan Chan had ceremonial plazas, water reservoirs, defense systems and rooms designed to store food. 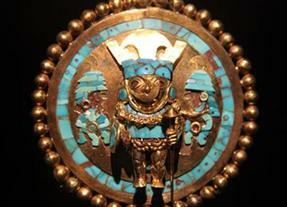 Chan Chan population was about 60,000 inhabitants of the Chimu empire. Then we head to the fishing village of Huanchaco, where you can see the "little reed horses", traditional pre-Columbian rafts which still are the main tool of the current Huanchaco's fishermen. We travel from Chiclayo to Mancora. 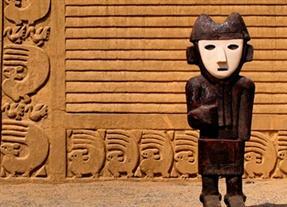 On route, we stop in Piura, where we visit the Vicus Museum. This local museum, highlights The "Olleros" room, which exhibits the grave goods found in Olleros Valley (Ayabaca), that belonged to the Lord of Olleros, also a visit to The Chamber Tomb 11, showing metal objects of the first archaeological studies on Vicus Necropolis (Chulucanas), and The Vicus Room, which discloses the features of the most representative culture of the region, The Frias Room, which exhibits a collection of gold objects like the Venus of Frias, sculpture of 15,4 cm height and 60 grams weight, made of gold and platinum, this enignmatic figure was found in the Frías Valley and shows clear Vicús and Moche, and ecuadorian and colombian cultures influence. The "Room of Gold" displays a great artifacts made of gold from the Vicus culture. We continue travelling to Mancora, after arrival, time to relax and enjoy the nice warm weather. This area has warm weather all year round, and the water of the sea is always nice. You can enjoy the beach or just chill out a little at the hotel. We travel north to Tumbes, to Puerto 25, from here we will navigate through the various channels formed between the mangroves: Zarumilla, Gallegos, Algarrobo and Paracas, where we find four mangrove species: red mangrove, the black mangrove , white mangrove and the button mangrove and 40 other botanical varieties. These mangroves are home to a great diversity of fauna: 30 species of birds, 14 mammals, 33 shells, 24 shells, and hundreds of species of fish. We also find a variety of birds and mammals threatened situation like the crab eating racoon, neotropical otter, amphibians and reptiles. The sanctuary is considered the most productive eco system in the world. Finally, from the Interpretive Bridge Center, we observe the natural ecosystem. After our visit, we continue to Puerto Pizarro, Forest ecosystem of mangrove swamps and waterways that are part of the delta of the Tumbes river and its islands created by the accumulation of sediment and silt, which are part of the mangrove ecosystem that extends geographically from the Gulf of Guayaquil to Playa Hermosa. In addition due to the mangrove area has a variety of shells and crabs. Among the island, we will visit the Island of the Birds, which is so named because it is home to various species of birds. 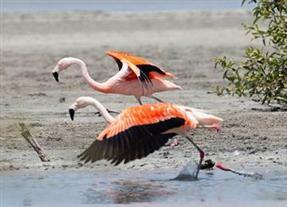 In this sector we find predominantly the red mangrove; which it is used by the endemic birds as a place of residence. See the birds in their natural home is an unforgettable experience. Also, the place is used as a refuge for migratory birds among like cormorants, pelicans, frigate birds, flamingos and gulls. Additional show is watching the ducks, white and gray herons, hover over the island. 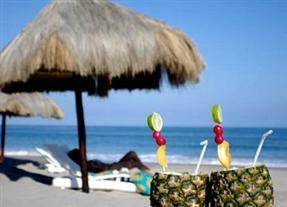 In the Island of Love, you can taste the most delicious cuisine of Tumbes. Also we visit the Crocodile Island, a Crocodrile Refugee Center of Fondepes, which beongs to the National Ministry of Fisheries, which function is experimental breeding of Crocodylus acutus, reintroduction and repopulation in the Tumbes River Basin and other basins. Since 2002 the reproduction of the species has been successful. Departure to Amotape National Park, in the upper area of tropical rainforest. We will hike to the Hualtaco Viewpoint from here, we appreciate the beauty of the forest. The park is a protected natural area, with very varied terrain, and hills of the chain of Amotape. This area of forest is a rainforest, where the dominant flora is the hualtaco, charan, sapote, pasallo, guayacán, chaparral and ceiba trees, and a very dense vegetation. The wildlife is varied. Among the main species: jaguars, ocelots, anteaters, squirrels, monkeys, peccaries, etc. Among the birds: the red-headed parrot, the condor, king vulture, partridge, heron, hummingbords, etc. between reptiles: American crocodile, macanche, iguanas and others. We will explore the area to spot flora and fauna, after the walk, we go back to Mancora. 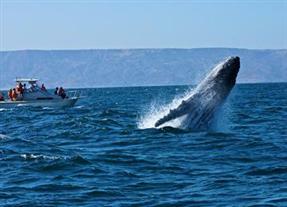 Only in the months of August, September and October is possible whalewatching humpback whales. We will board the boat from the offshore to start the watching of marine life. We observe the fascinating and diverse marine fauna including the bottlenose dolphin, common dolphin, sea lions, sea turtles, birds like the blue-footed booby and frigate birds that inhabit the area of convergence of the cold Humboldt ecosystem and the warm equatorial ecosystem. Since the end of July and during the months of August, September and October, you can see humpback whales (Megaptera Novanglidae), which during these months come to reproduce. You will get amazed by these great creatures. They usually swim quietly, alone or in groups with their calves. Sometimes they jump out of the water. It is an unforgettable experience. After our early sea expedition, we travel to El Ñuro, located in Los Organos. This little fishermen village is a great place to spot green sea turtles (Chelonia mydas). Besides among the fauna stand the butterflyfish, angelfish, seahorses, eels and crabs and of course the Pacific green turtles, where they live. We wil snorkel close to them but although they approach us, we should not touch them, because we must respect the sea fauna. The turquoise and pristine water, allow us to see clearly the turtles.